Have you heard? 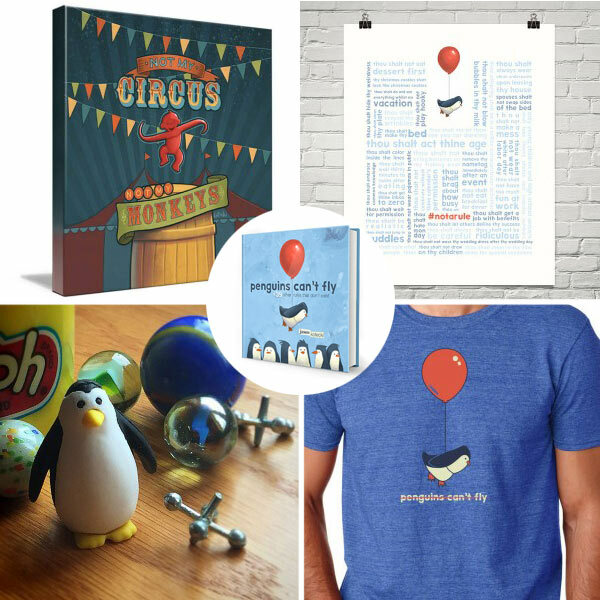 If you pre-order 5 or more copies of Penguins Can’t Fly +39 Other Rules That Don’t Exist, you can score some pretty neat bonuses. A chance to win a complimentary speaking presentation for your company, association, church, or community group. Learn more about all of the specific deals here. Wondering what you could possibly do with all those books? Use them as client gifts. Give them to people you’d like to become clients. Reward employees for being awesome. Give one to your boss for extra brownie points. Use them as end-of-the-year gifts for your kids’ teachers or coaches. Gift them to the people who make your life better, such as your postman, pastor, chiropractor, hairdresser, yoga instructor, or barista, or butler. Start an epic book club with your friends. Send them to all of your grown children or grandkids. Help fight Adultitis by randomly giving one to the person siting next to you on the bus, train, or plane. Use them as favors for a grown-up’s birthday party. Include them in care packages you send to long distance friends or relatives. Finish your Christmas shopping in April. Donate them to your town’s Little Free Library. Put one in every room of your house to fight Adultitis at a moment’s notice. Share it with your super famous celebrity friend and ask him or her to tweet about it. You can pre-order books here. Thanks for your support!